IT'S NOT ABOUT THE FOOD ACADEMY NOW OPEN! Sign up before April 12th! Travel can be one of THE biggest stressors-- and triggers for jumping back on the diet train. How can you prevent the shame-blame-restrict cycle that happens after travel? How do you travel with kids while keeping your health (and sanity)? My guest this week has you covered! This week I'm joined by one of my favorite virtual mom friends! 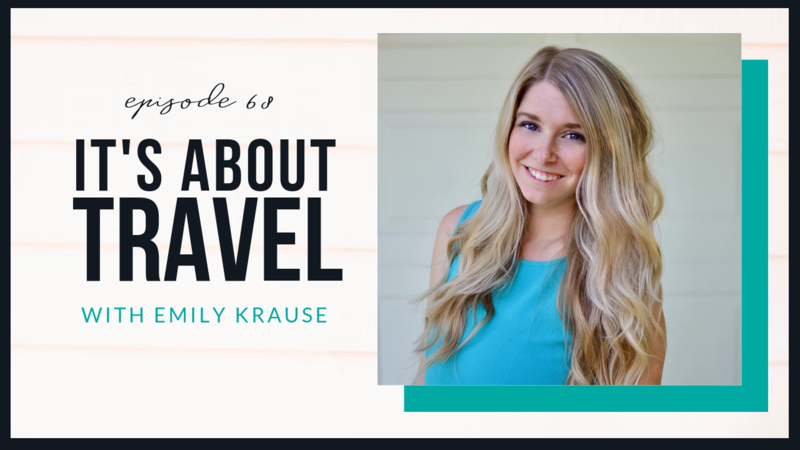 I'm talking to Emily Krause, health and wellness coach turned travel blogger, freelance writer, and mom of 3. Overcome emotional eating and make peace with food! Access FREE video series here! WHAT DO YOU WANT TO KNOW OR HEAR ABOUT? Leave a rating + review for the podcast and share what you'd like to hear in upcoming episodes! Uncover the REAL reasons you're struggling with food and your body in my FREE mini-class now! and uncover WHY you're struggling with food and your body!